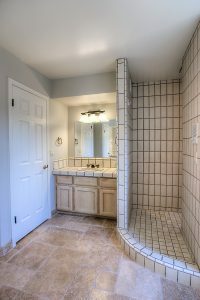 Upgraded Carefree luxury home featuring an open floor plan, travertine floors and beautiful high wood ceilings. 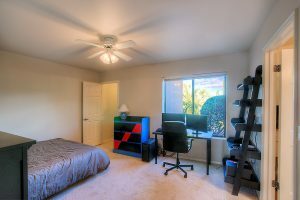 Newly painted and all new carpets in Sept 2016. 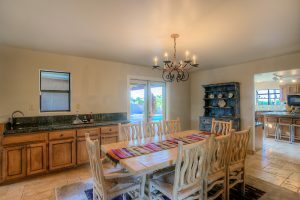 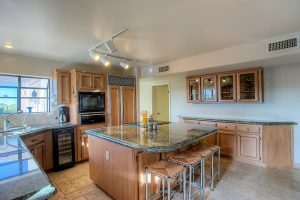 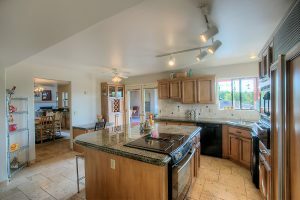 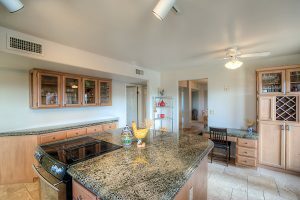 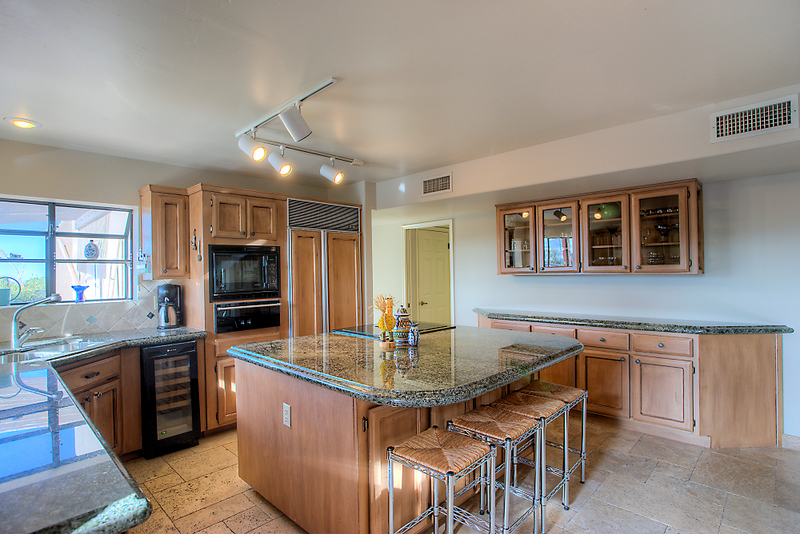 Chef’s kitchen with an abundance of storage cabinets, granite slab counter tops, SubZero refrigerator, warming drawer, wine cooler, wine rack, glass front cabinets and kitchen desk. 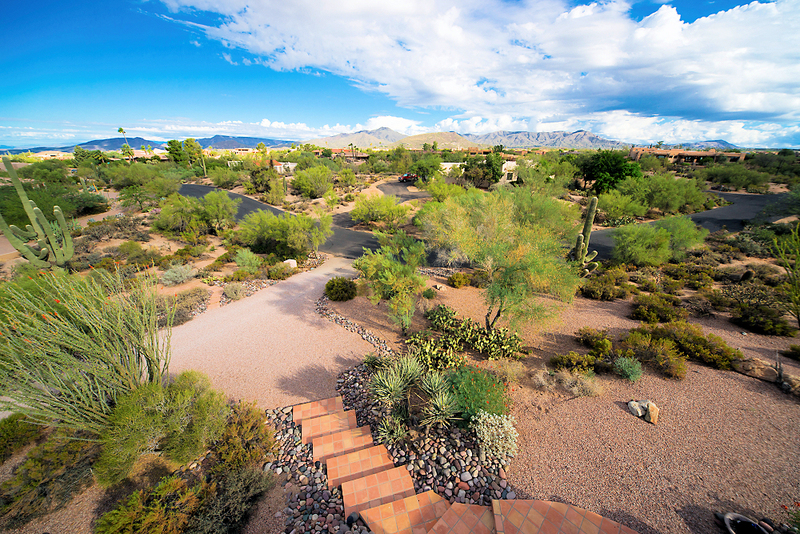 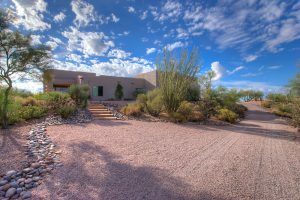 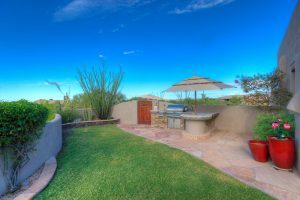 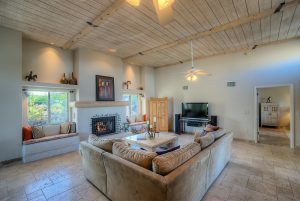 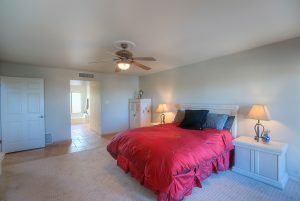 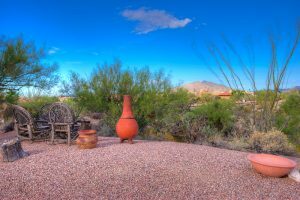 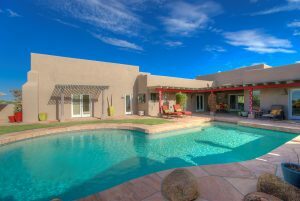 Large elevated lot of over 1 acre with mature saguaro cactus and mountain VIEWS. 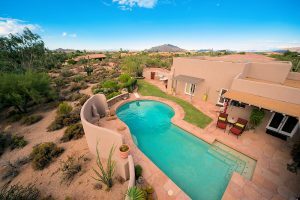 Resort like yard with oversized pool, heated spa, large covered patio, flagstone, multiple covered seating areas, firepit, built­in BBQ and grassy area. 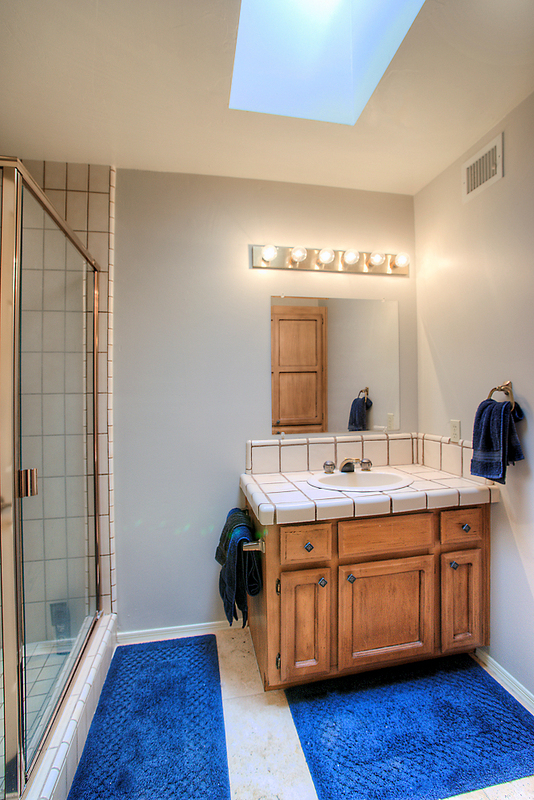 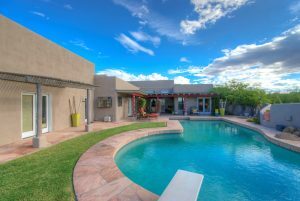 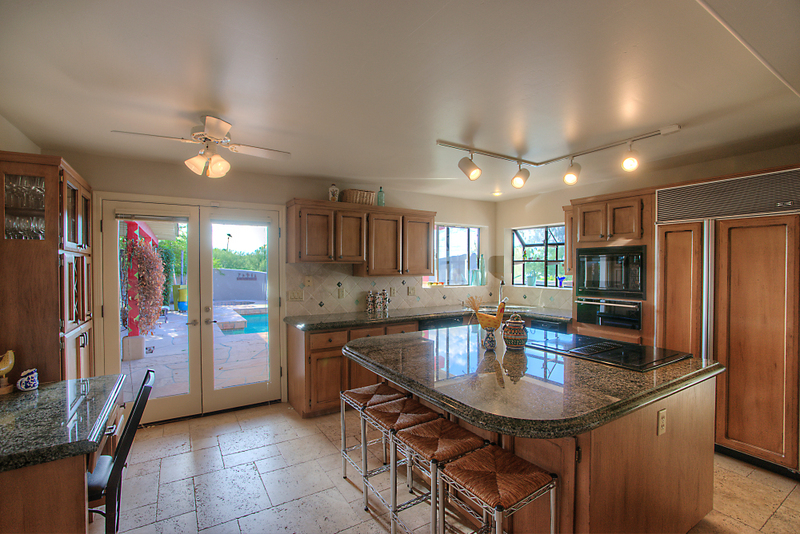 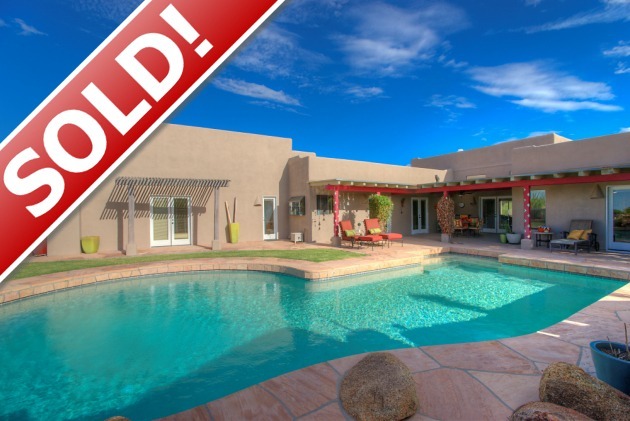 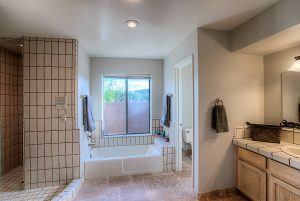 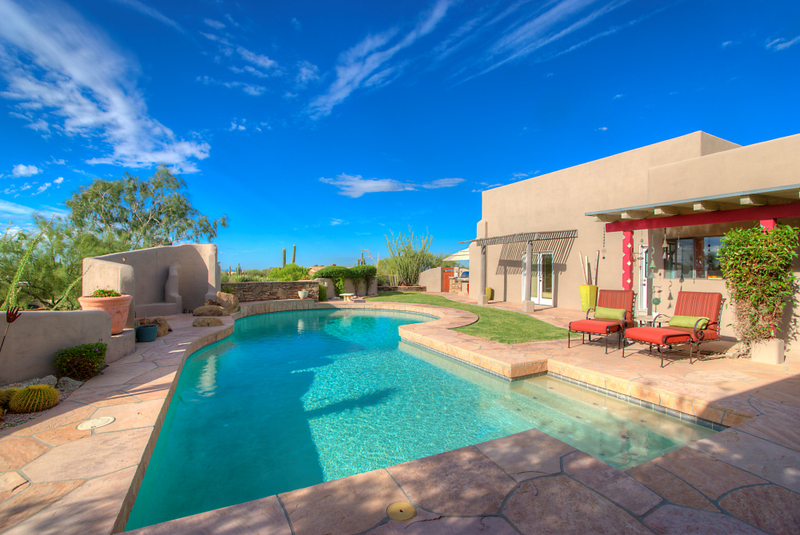 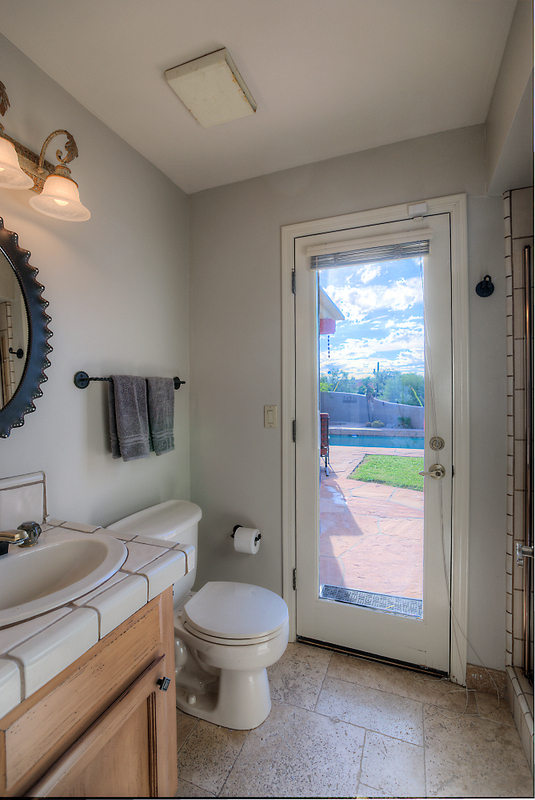 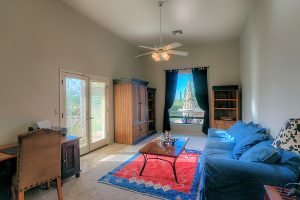 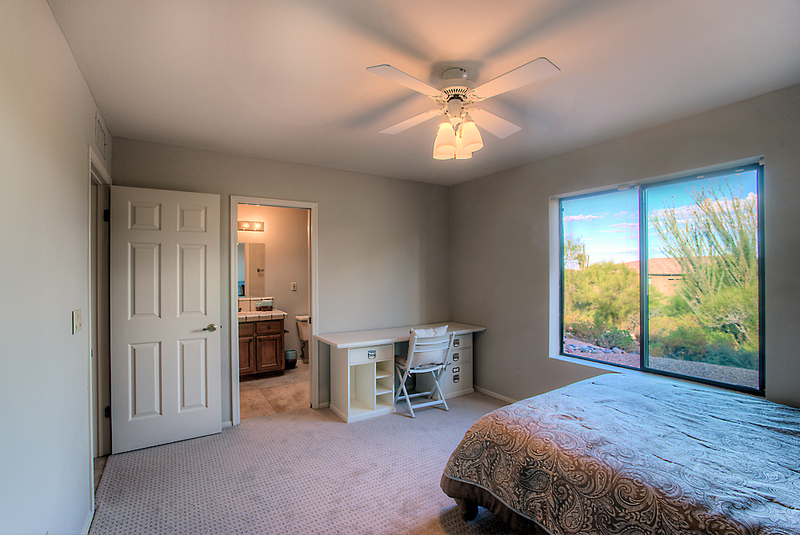 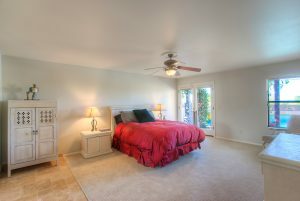 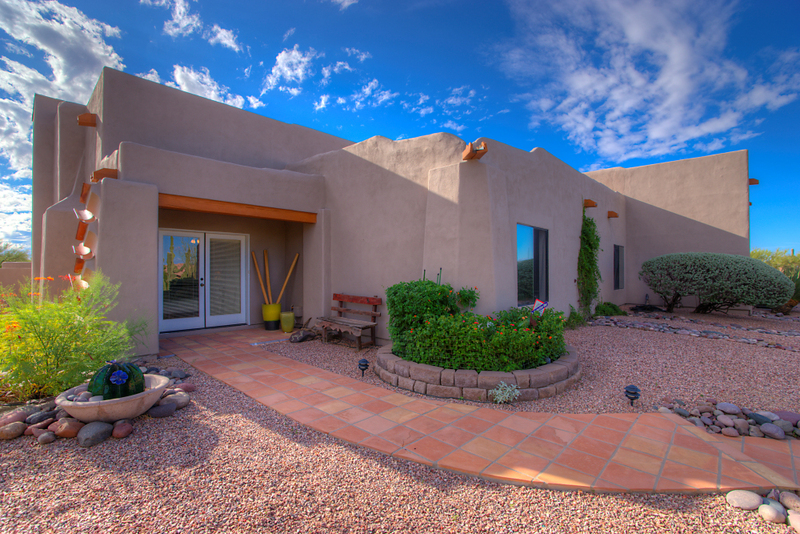 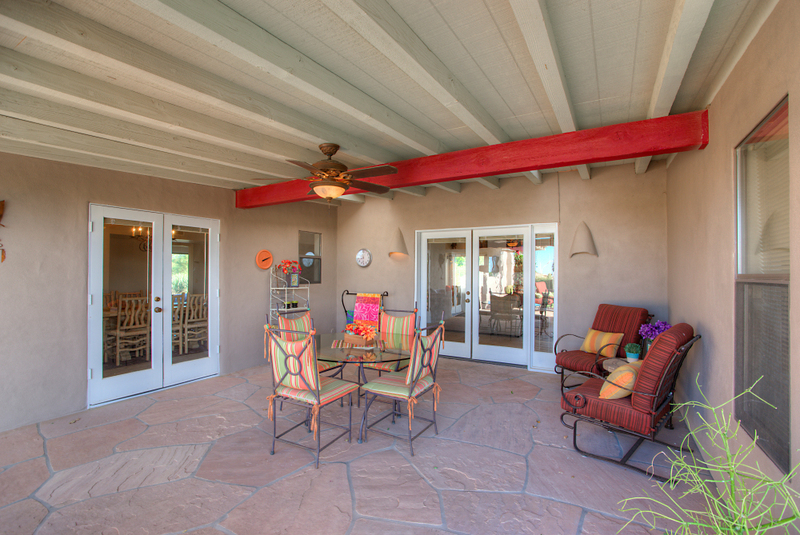 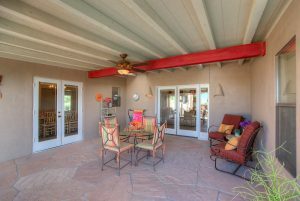 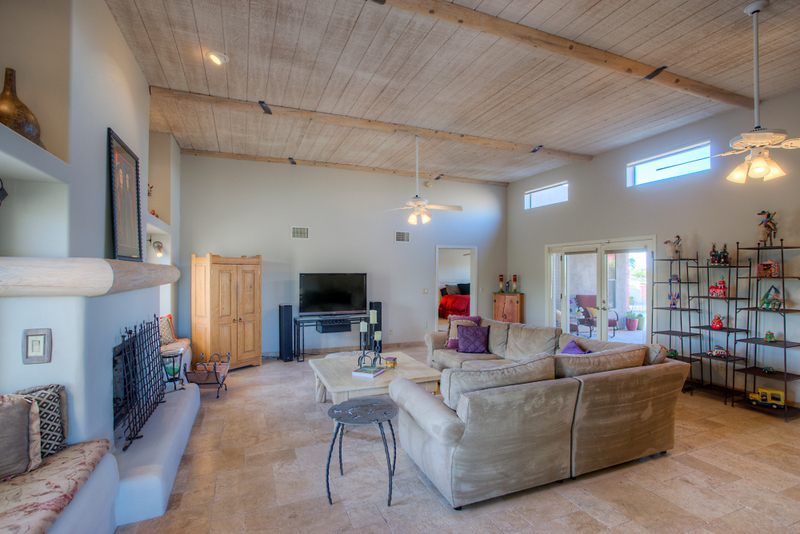 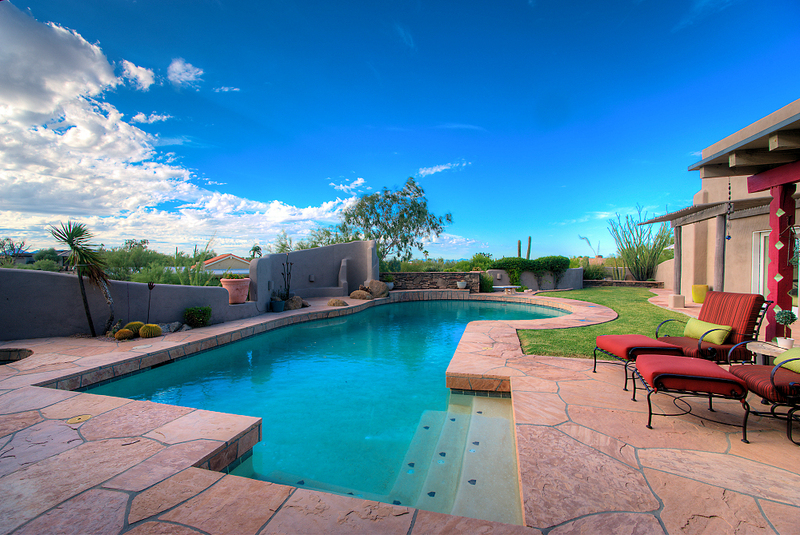 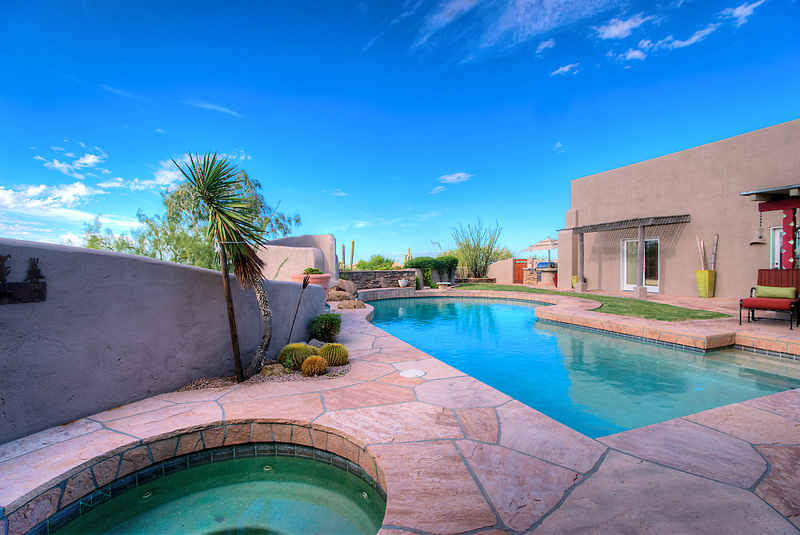 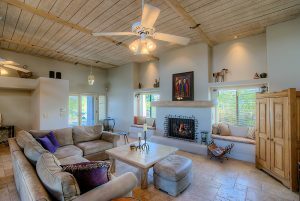 Multiple rooms have glass french doors to the yard ­ perfect for the indoor­outdoor Arizona lifestyle. 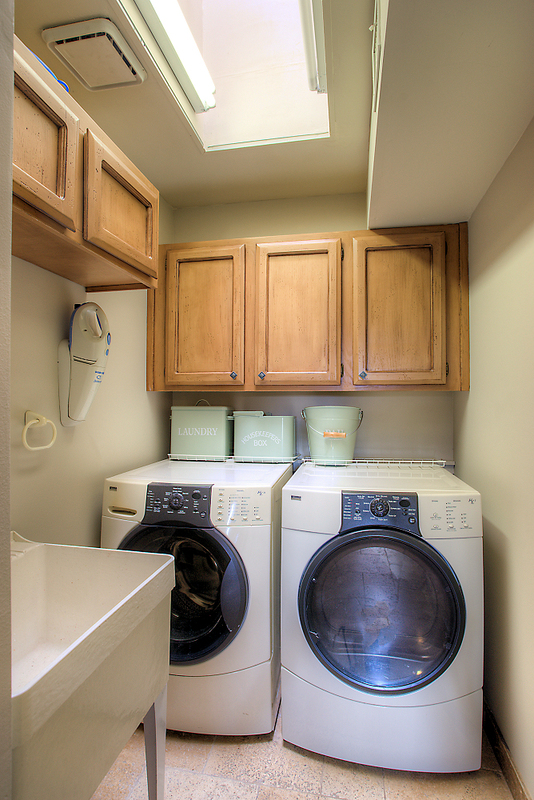 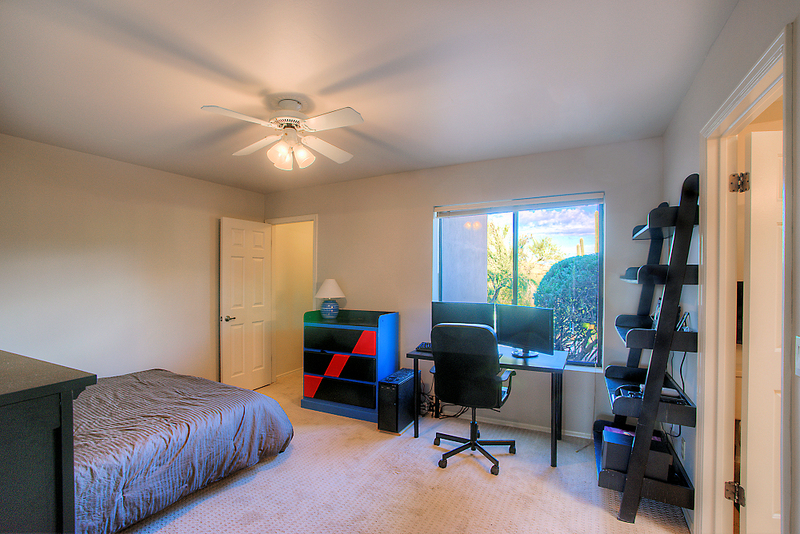 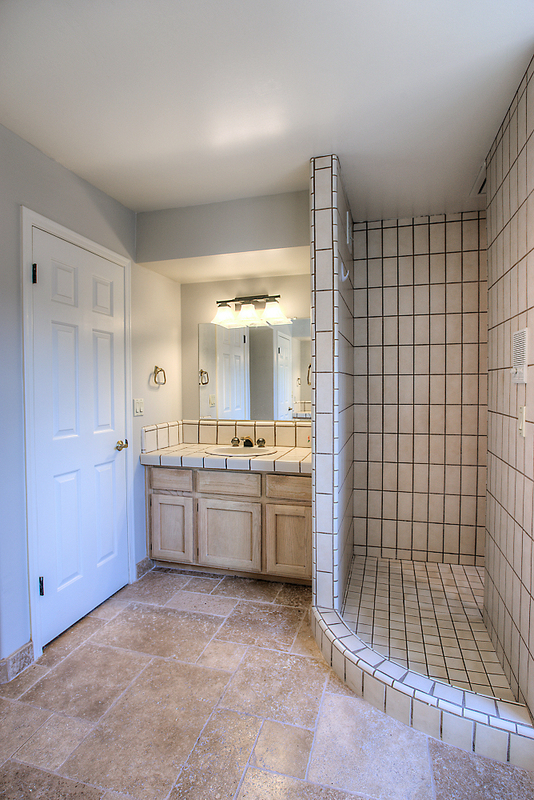 Two car garage with large air­conditioned storage room. Extremely low HOA dues in upscale Carefree neighborhood. 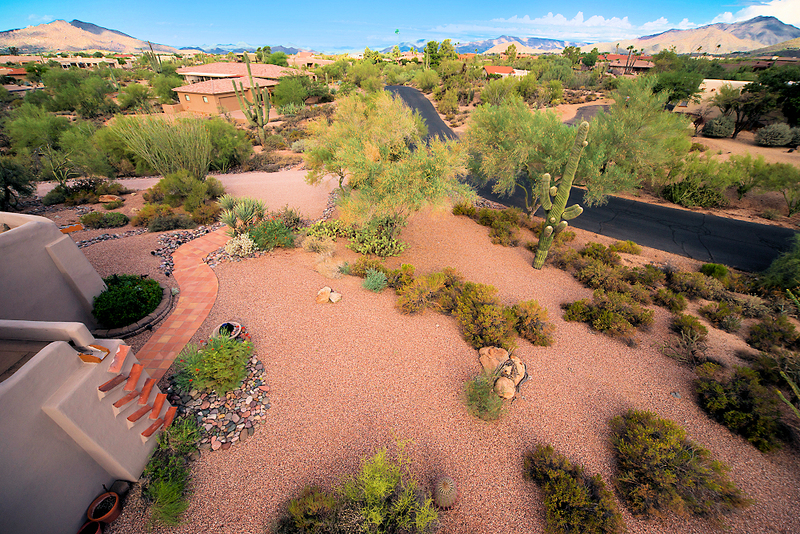 Cross Streets: Pima Rd & Stagecoach Pass Directions: From Pima Rd, head East on Stagecoach Pass. 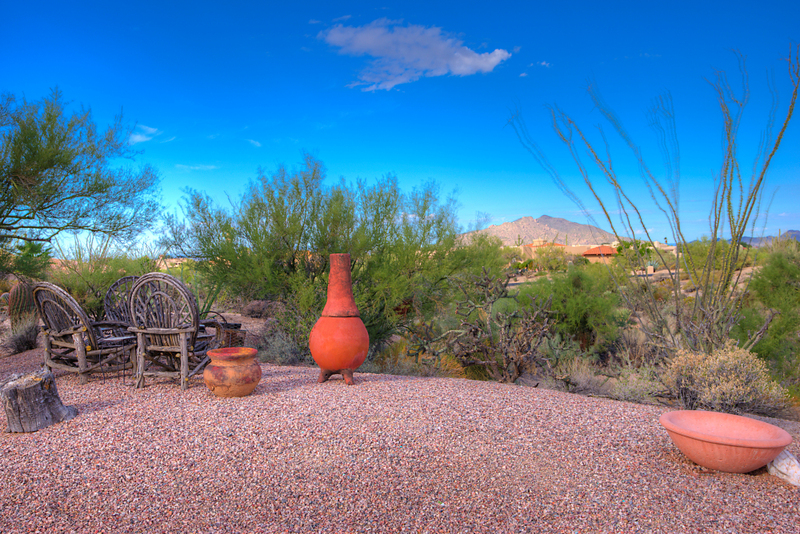 Turn North onto Wildflower Rd. Turn East (R) onto Here to There Dr. Home is on South side of road.